Chahid El Hafed, Jan 09, 2018 (SPS) - After the general lawyer of the European Court of Justice, Wathelete, comes to the conclusion that the fishing agreement between the EU and Morocco is illegal to include Western Sahara and the adjacent waters, the Frente POLISARIO has requested by means of a communiqué that "all the instances of EU" consider the judgments and legal principles of its justice, in relation to the illegality of the agreements with Morocco that include the Western Sahara. 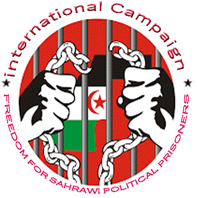 In this sense, " POLISARIO, calls for a direct dialogue to impose the right of the Saharawi people on their natural resources", and reminds the European Commission, that with the violation of judicial decisions, the suffering of the Saharawi people is prolonged and "is responsible in the legal, moral and historical." "The POLISARIO, sends an appeal to all European companies present in Western Sahara and adjacent waters (...) that in the current state, are developing their activities in the framework of illegality," as claimed by the Attorney General. Finally, POLISARIO urges that this judicial advance will relaunch the process of decolonization in Western Sahara, under the direction of the United Nations, a process that was blocked by the intransigence of Morocco.